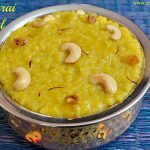 As Karthigai Deepam festival is nearing, I feel it is the right time to post this rava appam recipe. 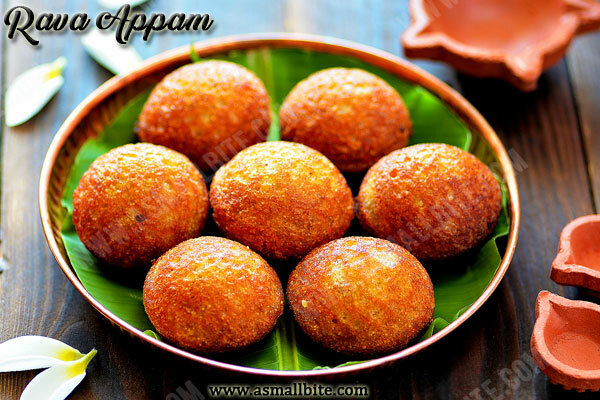 I have already shared wheat flour appam and nei appam in my blog. 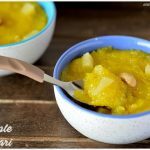 This sweet sooji paniyaram recipe is more simpler, as no grinding work is required, also you can try this same recipe with sugar too. 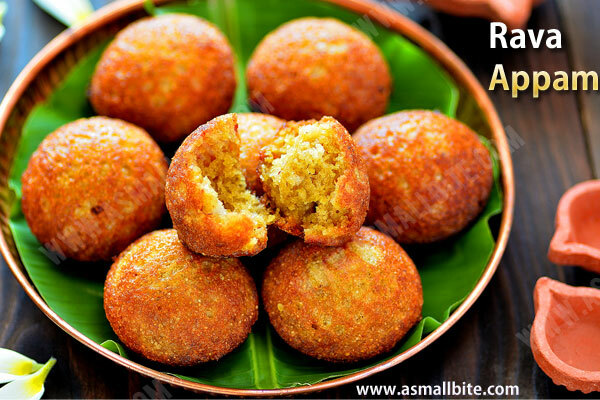 The addition of ripe banana yields more pillow soft and flavourful appams. 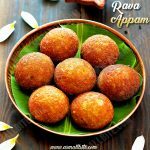 Ok, let’s go the preparation…..
Rava Appam Recipe / Sweet Sooji paniyaram recipe is more simpler, as no grinding work is required, also you can try this same recipe with sugar too. First measure and keep all the ingredients ready. Soak sooji in water for 1/2 an hour (just immersing level), by the time the sooji would have absorbed all the water. In a mixer grate coconut. To a bowl, add jaggery and very little water. Pour the jaggery and water to a pan, heat and melt it. No string consistency is needed. 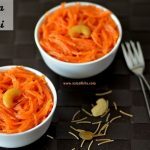 To a bowl, add the soaked sooji, maida, grated coconut and cardamom powder. Filter the melted jaggery through a melted strainer to remove impurities. 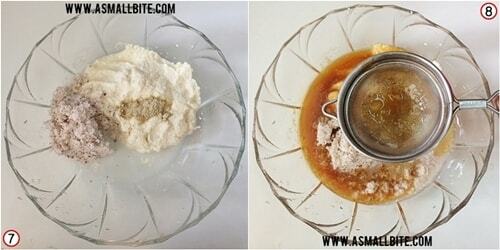 Mix well and then add banana, cooking soda and 1 pinch of salt. Mash the banana well with your fingers, there should not be any lumps. Whisk everything well. Heat a appam pan / paniyaram pan and pour oil or ghee to each mould. 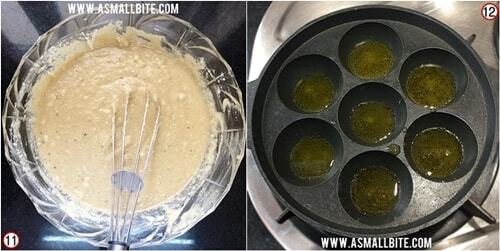 Using a spoon, take little batter and fill each mould with 3/4 of the batter. Cover and cook in low flame for 2 to 3 minutes. Once the bottom is cooked, flip it to the other side using a spoon or the stick provided with the pan. Add little more ghee and cook again for another 2 to 3 minutes. 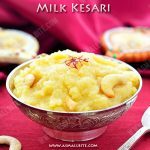 Try this sweet sooji paniyaram recipe for this karthigai deepam festival. 1. First measure and keep all the ingredients ready. Soak sooji in water for 1/2 an hour (just immersing level), by the time the sooji would have absorbed all the water. 2. In a mixer grate coconut. To a bowl, add jaggery and very little water. 3. Pour the jaggery and water to a pan, heat and melt it. No string consistency is needed. 4. To a bowl, add the soaked sooji, maida, grated coconut and cardamom powder. 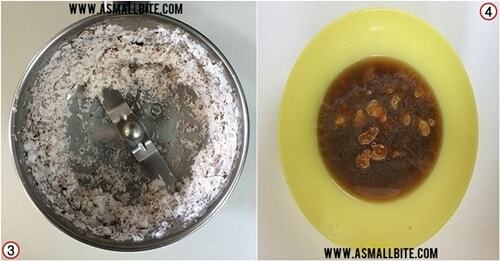 Filter the melted jaggery through a melted strainer to remove impurities. 5. Mix well and then add banana, cooking soda and 1 pinch of salt. Mash the banana well with your fingers, there should not be any lumps. 6. Whisk everything well. Heat a appam pan / paniyaram pan and pour oil or ghee to each mould. 7. Using a spoon, take little batter and fill each mould with 3/4 of the batter. Cover and cook in low flame for 2 to 3 minutes. 8. Once the bottom is cooked, flip it to the other side using a spoon or the stick provided with the pan. Add little more ghee and cook again for another 2 to 3 minutes. 1. Soak the sooji for minimum 1/2 an hour and if there is water left out, drain it completely. 2. Maida / All purpose flour can be substituted with wheat flour also. 3. 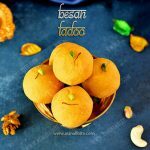 For different taste, jaggery can be replaced with sugar. This is an instant version as no melting work is required. 4. 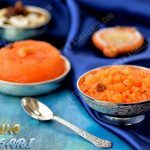 Adjust jaggery level as per sweetness preferred for this sweet sooji paniyaram recipe . 5. The batter consistency should be like dosa batter, not too thick or watery. 6. 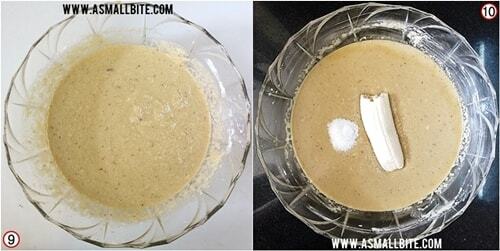 If the batter is thick, the appams turn hard, add very little water to dilute it. 7. If the batter is watery, the appam absorbs more ghee. Add 1 tbsp of maida to troubleshoot. 8. Adding banana lends spongy appam, also use ripe banana only. 9. Don’t add cooking soda more than mentioned and also add it just before cooking. 10. 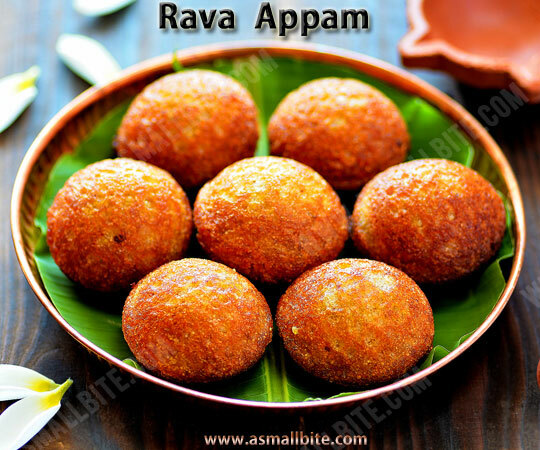 This rava appam recipe can be deep fried in oil. If deep frying, fry it one by one. 11. Ensure the pan is hot enough, so the appams wont stick to the pan. 12. Always cook the appam in low flame, otherwise it doesn’t get cooked inside.